Push your driving skills to the limit and go as fast as your dare with the amazing and exciting sport of indoor go Karting. Why not have a race to see who really is the better driver and settle the argument once and for all!? Push your driving skills to the limit and go as fast as your dare with the amazing and exciting sport of indoor go Karting. We all think we are great drivers but this is the real test. Why not have a boys vs girls race to see who really is the better driver and settle the argument once and for all!? An activity the British weather cannot spoil, indoor go Karting is also ideal for both the daytime and as an evening activity. 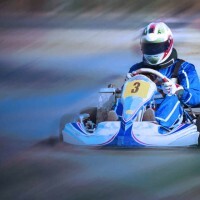 We also have some great value packages that include go Karting and other driving activities, so just get in touch and let us know what your perfect event should include.